"So you've got your React app, you're bundling it with Webpack, and things are going smooth. But then one day you notice your app's bundle is getting so big that it's slowing things down. It's time to start code-splitting your app! Code-splitting is the process of taking one large bundle containing your entire app, and splitting them up into multiple smaller bundles which contain separate parts of your app. 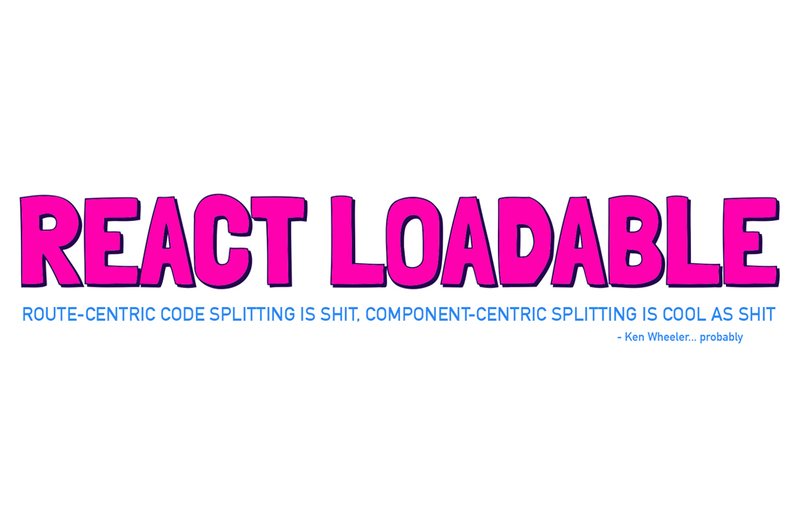 This might seem difficult to do, but tools like Webpack have this built in, and React Loadable is designed to make it super simple."